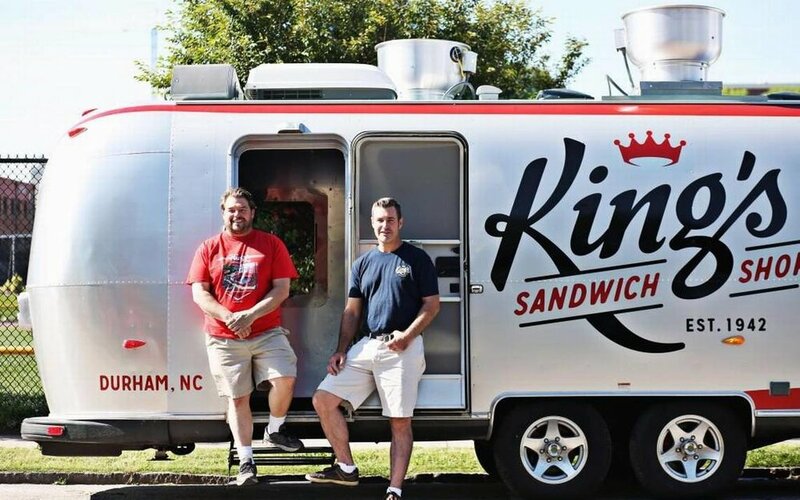 King's Sandwich Shop — Punch Design Co.
Durham, NC has changed a lot in the past decade. 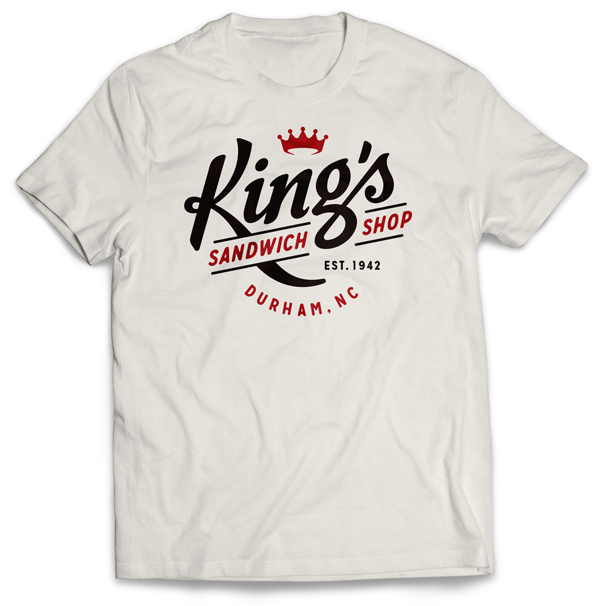 King's Sandwich Shop, however, has not. 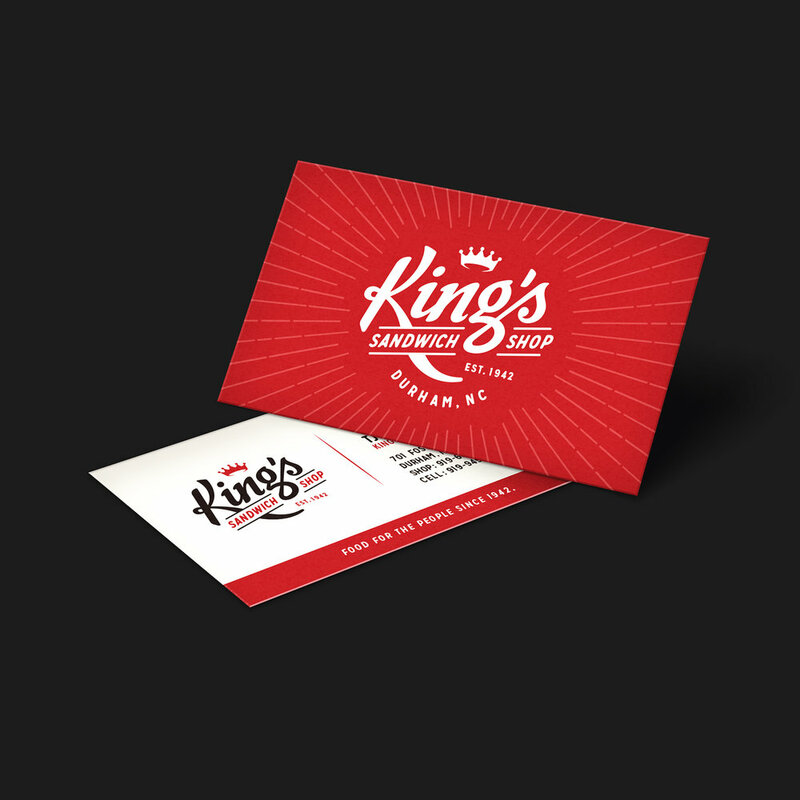 They still serve up burgers and fries at half the price of their newly-minted competitors down the block. Rather than turn their storied location into a cash-grab for the new money pouring into town, the owner, TJ McDermott, opted for an off-site approach. 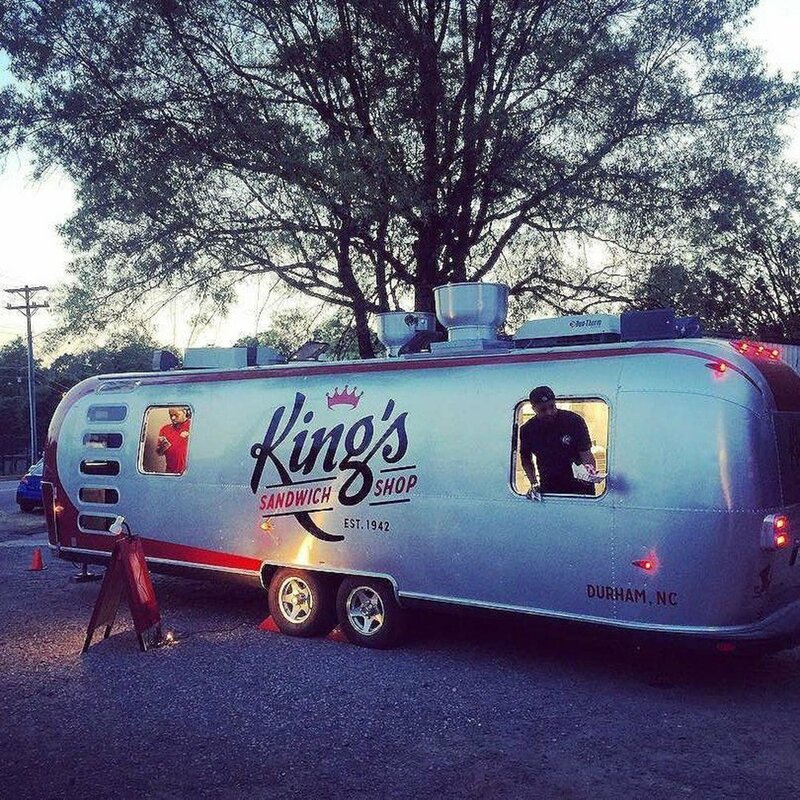 Punch began by leading a strategic research project of King's storied brand history, equity and identity within the city of Durham, and the southeast region. With this new insight into the brand, we developed a new identity system that harkens to the era of its founding, and appeals to the current market. 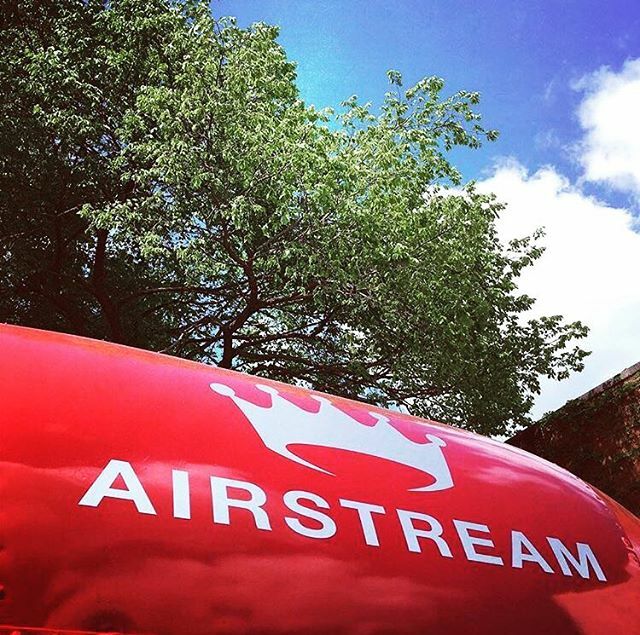 Inspired by classic racing vehicles of the same era, we designed livery for their new airstream food truck, dubbed Kingstream. 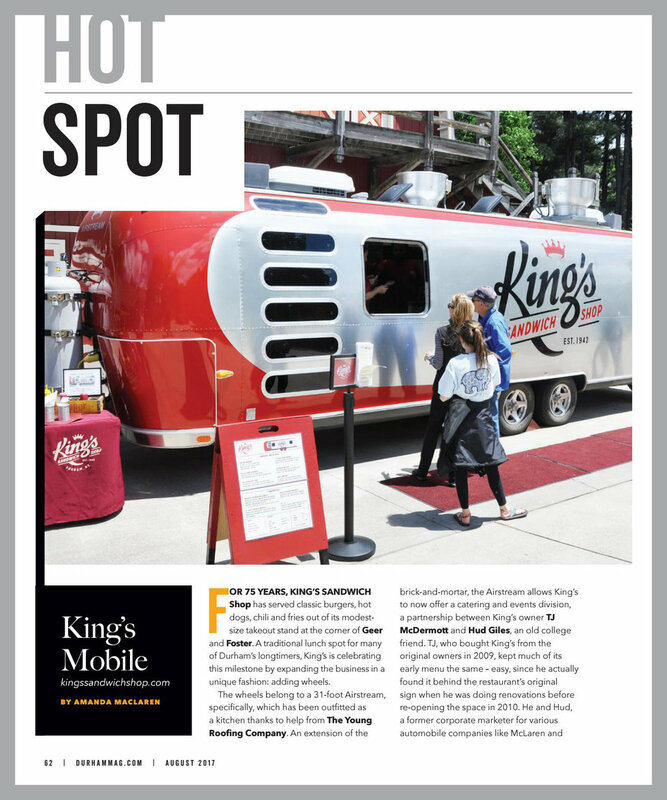 It was an instant success in the food-centric culture of Durham, and can be seen at food truck rodeos and special events, as well as in the remarkable amount of press it gets.